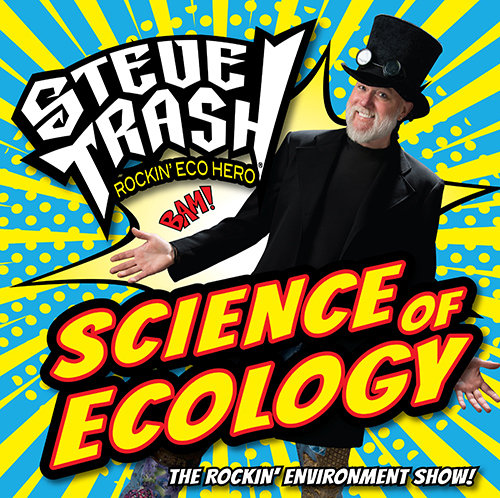 The Science of Ecology & Ecology is Awesome – Two shows from Rockin’ Eco Hero Steve Trash… These amazing educational shows are full of amazement and rockin’ fun. Designed for Grades K-6, students learn the Science of nature and that trash is actually a valuable natural resource. Green themed illusions made from found objects blend eco-entertainment with eco-education – learning how the water cycle works, the sun generates renewable energy and much more. All shows from Steve Trash meet state standards with targeted curriculum guides and show content.